Hello friends! 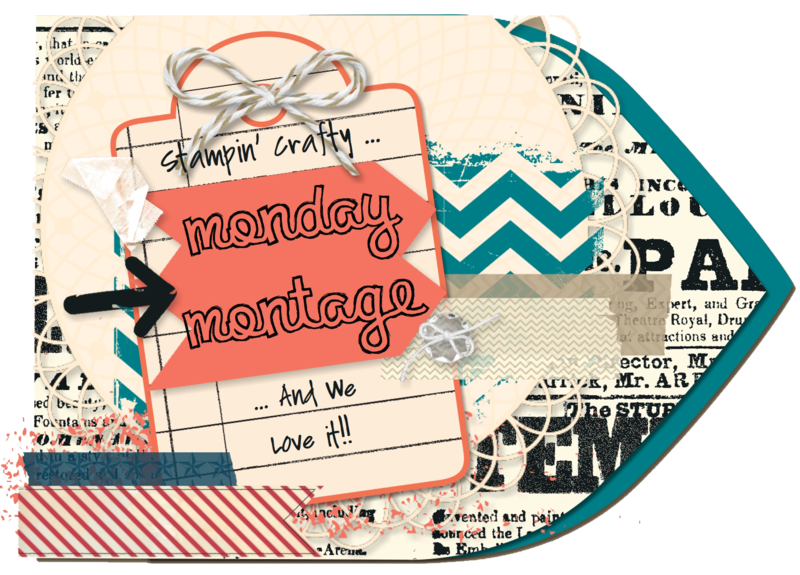 Welcome back to Monday Montage! You should have arrived here from the amazing Bree Renwick’s blog, select the “next” button below and that will take you to the next stop on the hop, the fabulous Dani Dziama’s blog. I can’t wait to see what they have to share this week, you won’t want to miss it! This card features many things I love, love, love! Doilies (check), gold embossing (check), vintage buttons (check), a sparkly butterfly with pearls (check) and the Off the Grid stamp which seems like it might be out of place on this card but adds just the right touch! I actually found the bones of this card on Pinterest and I will have to find it again so I can give credit where credit is due. I’ll update this post as soon as I figure that out! I changed it up quite a bit and I love the final result. I hope this inspires you to make something gorgeous of your own! I hope you are enjoying our creative inspiration as much as I am! I continue to be awed by the skill and creativity of my fellow friends on this hop! Be sure to come back every other Monday to see what we have up our sleeves for you! Make sure you go “Back” if you missed Bree Renwick or you can loop on around by hitting the “Next” button to get to Dani Dziama and the rest of the hop! This entry was posted in 2013 Artisan Design Team Finalist, Cards, E-Cutter, Punches, Silhouette Cameo, Stampin' Up, Techniques, Vintage by kate80132. Bookmark the permalink. Between “Off the Grid” and “Gorgeous Grunge” I am in a happy place!! They look good on EVERYthing!! 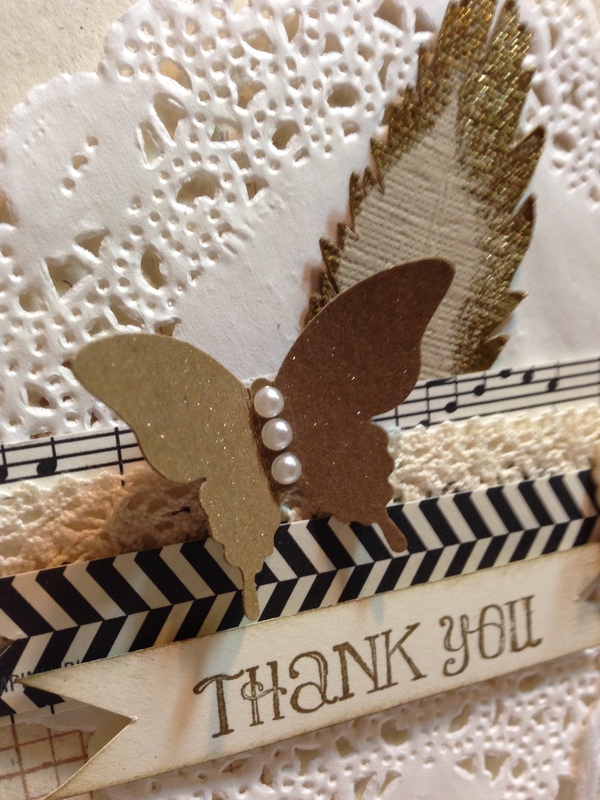 LOVE your beautiful gold leaf and all the lovely vintage-y elements on here!! Beautiful!! Yep, I love your style. So Gorgeous. I need to get the Off the Grid stamp! Love how you used it here. 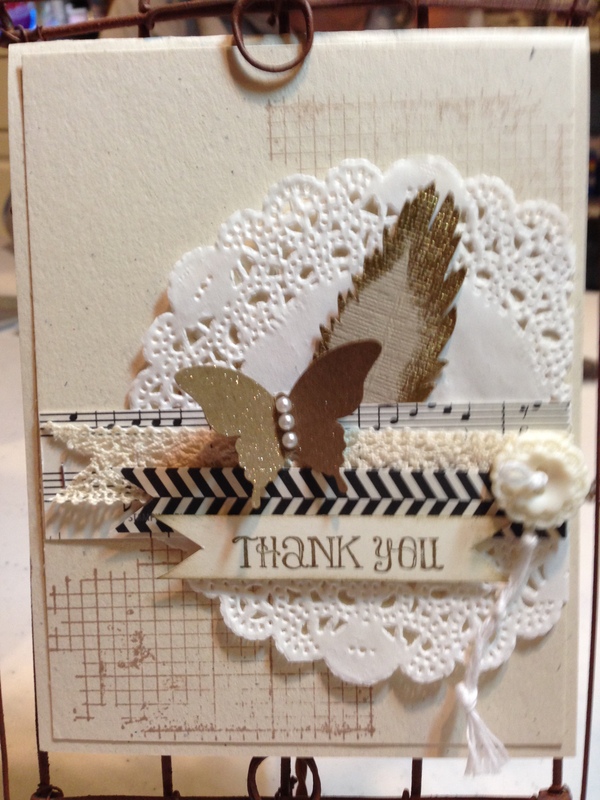 LOve that grid stamp and the feather and the gold… love it even more that you mis mashed them together! Off the Grid is perfect for this card…love how all the different elements all come together in one beautiful and happy card!